After a long summer break, in a short few weeks, parents and children will be back into the school routine: early morning wake ups, bathroom rushes, packing lunches and ironing school clothes. To get back into the groove, Tornado II has enlisted a few Back-To-School cleaning tips to help families return to the flow. A major struggle of the Back-To-School routine is getting the kids back into the groove. To generate a little structural boost, involve the children in the cleaning process. Have the children start with their own room(s) and then incorporate other areas of the house. Provide a cleaning chart which outline small daily tasks. Over the course of the summer, new school clothes may have been purchased. And while the weather is still warm, it will begin changing with the income fall season. 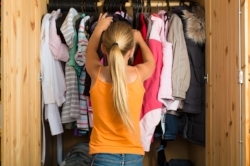 Use this time, before school starts, to turn over your closet, hanging up school and fall season attire. Leave a few summer items, for the warm, fall days. One of the everyday routines for the school year is packing lunch and after school snacks. 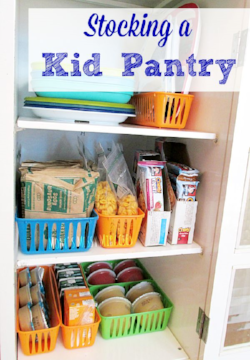 To help with this process, we recommend cleaning and restocking the home pantry. Check for expiration dates and any open and/or stale foods. Organize food/snacks to make locating specific items with ease.